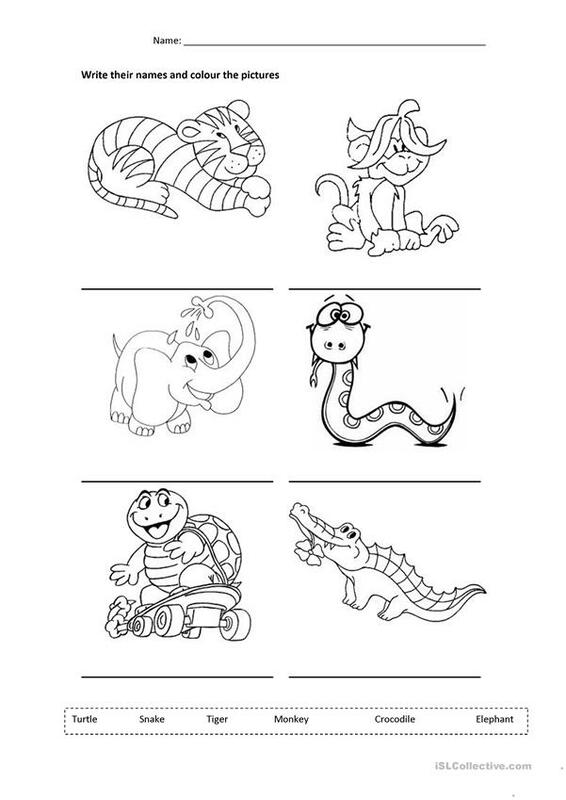 Pupils have to write the name of the animals under each picture. After that, they have to colour them. The above printable, downloadable handout is recommended for kindergartners and nursery school students at Beginner (pre-A1) and Elementary (A1) level. It was designed for improving your students' Reading and Writing skills.